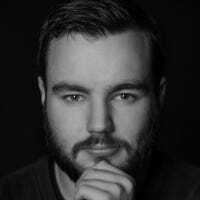 Although Apple has a bad reputation for playing nice with the other kids, some services, like Apple Music, are nicely cross platform. You can even set it up on your Sonos smart speaker. Here’s how. A Sonos speaker that’s set up and connected to your Wi-Fi network. 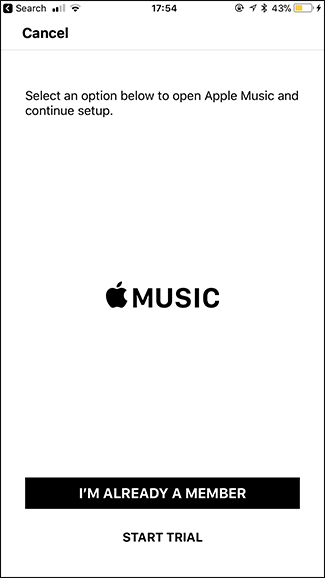 An Apple Music account and the Apple Music app installed on your smartphone. Your Sonos speaker will work with any plan, even the trial. Once you’ve got all that ready to go, it’s time to set up Apple Music on the Sonos. We’re going to demonstrate this using an iPhone and a Sonos One, but things should look much the same on Android. 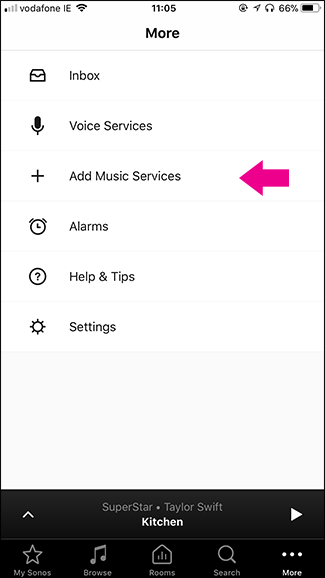 Open the Sonos Controller app, select the “More” option, and then select the “Add Music Services” option. 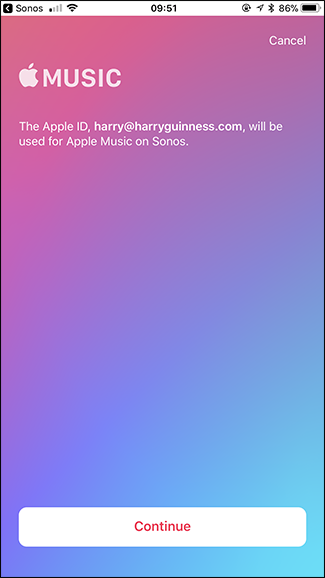 On the list of services, tap the “Apple Music” entry. 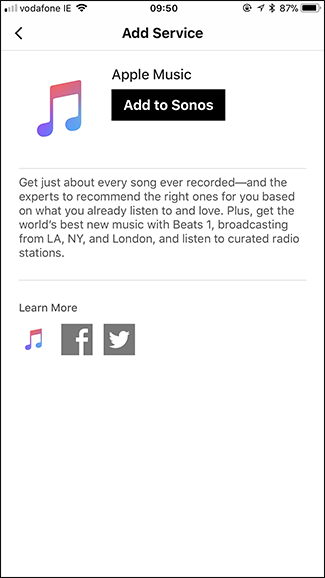 On the Add Service page, tap the “Add to Sonos” button, and then tell it you’re already a member. If you haven’t signed up for an account yet, you can also start a trial. 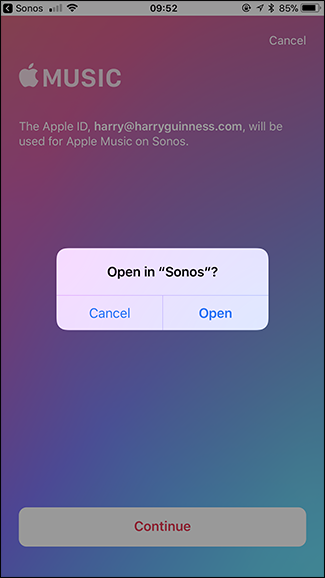 The Sonos Controller app send you to the Apple Music app to verify your account. 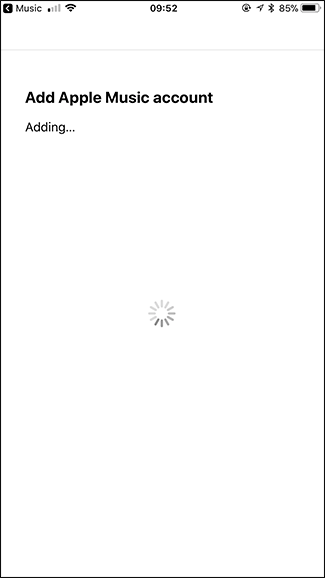 Tap the “Continue” button, type your Password, and then tap the “Open” button. It can take a few seconds to add your Apple Music account. 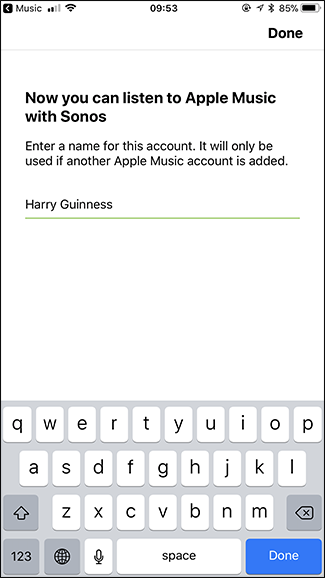 When it’s ready, type a name for your Apple Music account (although note that you’ll only use this if someone adds another account at some point), and then tap the “Done” button. Now you’ve got Apple Music set up on your Sonos. 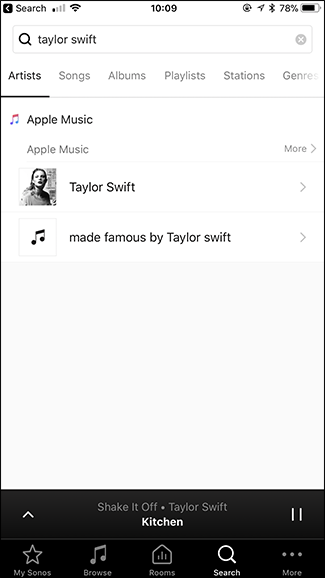 If someone else has Apple Music (even if they’re part of the same plan) they can add their account by following the exact same steps. That way, everyone has access to their own playlists. 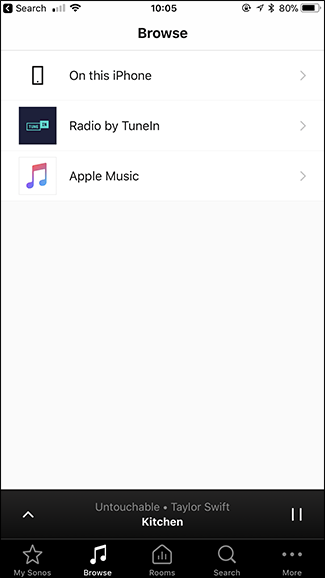 Unfortunately, you can’t directly control your Sonos from the Apple Music app the way you can if you use Spotify with your Sonos. You have to use the Sonos Controller app. Open the Sonos Controller app. In the Browse tab, you can select all the different music sources you’ve got connected to your Sonos. Select Apple Music. 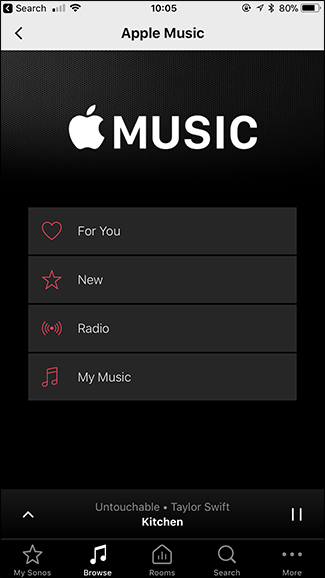 The different options should look pretty familiar to you since they’re based off the Apple Music app. Select the playlist, artist, or radio station to which you want to listen and you’re good to go. Apple Music also integrates with your Sonos’ universal search. If you’re looking for a specific track you haven’t already saved to your music or added to a playlist, go to the Search tab and type what you’re looking for. 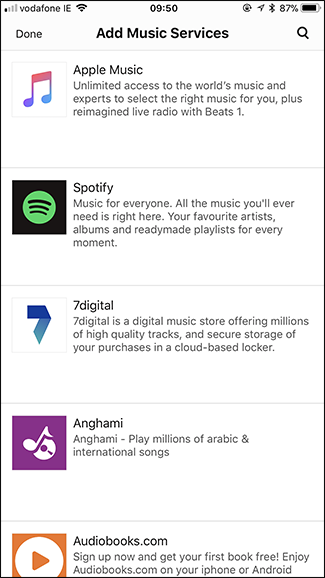 You’re able to search for Artists, Songs, Albums, Playlists, and more. 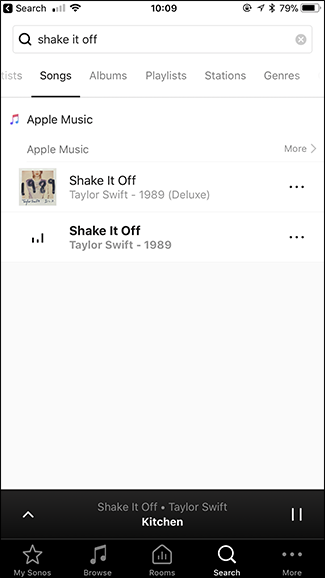 Apple Music works on Sonos speakers, but it isn’t as well integrated as Spotify. As long as you don’t mind using the Sonos app, it works great. But if that annoys you, then you need to either change your subscription service or your smart speaker.